He needed to be at RTR Plaza in Tacloban by 9am to join the Icot-icot tour, but sadly, with usual planned trips, it didn't materialize. Duptours van arrived late and it was raining heavily in Tacloban thus canceled Tutubi's hope for the guided tour of Tacloban City. 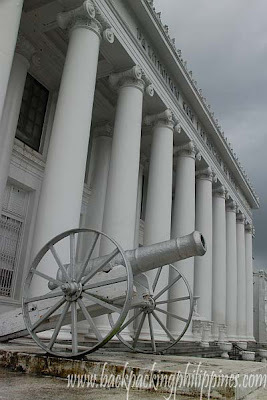 Leyte Provincial Capitol, a historical neo-classical building where General MacArthur and President Osmeña announced that Tacloban was the temporary seat of the Commonwealth government. The Sto. Niño Shrine and Heritage Museum, where you can see on display the different priceless art objects said to be gifts to the former first lady Imelda Marcos during her trips abroad. Several government buildings line Magsaysay Boulevard e.g. Eastern Visayas Regional Medical Center, Bulwagan ng Katarungan and University of the Philippines in the Visayas, Tacloban campus. 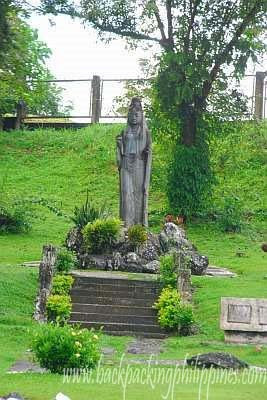 There's also the Family Park; statue of the Image of the Crucified Christ; statue of Maria Kannon, the Madonna of Japan that symbolizes peace at the foot of Kanhuraw Hill; the Philippine-Japan Peace Park and the Balyu-an Tower. Sto. 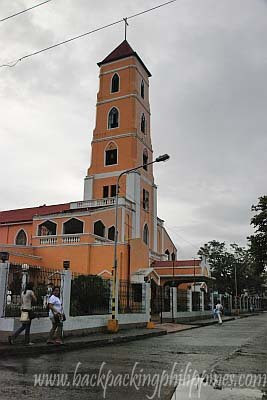 Niño Church on On Real Street is the the main Catholic Church in the city (there's also the Redemptorist Church nearby). Beside it is the People’s Center and Library and the Sto. Niño Shrine and Heritage Museum. Redoña Residence on Sen. Enage Street corner T. Claudio Street, is a two-story wooden heritage house with capiz windows. 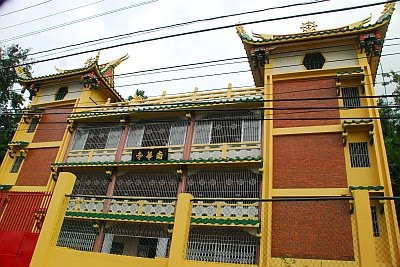 Buddhist Temple in Anibong District, Tacloban City at the foot of a hill. A beautiful 2-storey pagoda where monks and Buddhists make their worship, prayers, and offerings. Did you know where Tutubi went after the Tacloban City Tour eve if it's raining? They have a minimum number of persons joining for a trip to take place or if less than that, you can pay for six persons i.e. PhP900.00 and you'll have the multicab and driver/guide all for yourself for three hours. Wow, that looks like a great place, good photo material! now im quite satisfied seeing these photos as again we missed to see this place when we went to ormoc. Wow!my clan are leytenios! you should see my smiling face browsing your pics! :) beautiful shots! wow!! !nice place, nice picture....meanwhile i added u as a friend in my blogroll...cheers!!! nice place! i love the colonial feel to it! thanks for sharing, tutubi. the archtechture is really cool. Hi there! We're ging to Tacloban on Oct. 7 and your site has been the source of almost all my info from airport to hotels and tours. Thanks so much! we will try to catch this Icot-icot tour. hello! :-) we didn't catch the icot icot tour din... but we had our DIY tour too! i think that was more fun... talking to locals, asking them for directions... i enjoyed that part sooo much! 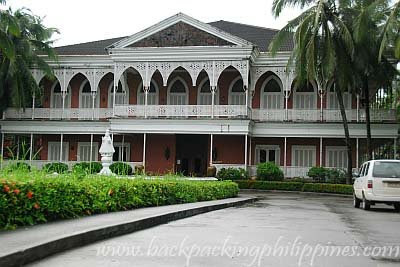 FYI, the picture with caption of Redoña Residence is not the one. 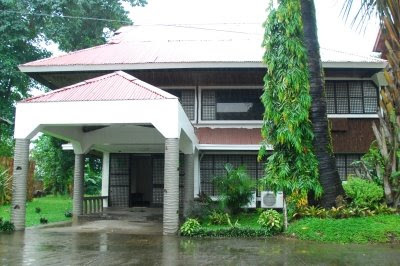 The picture is the former house of then Leyte Governor Benjamin "Kokoy" Romualdez (brother of Madam Imelda Rumualdez-Marcos and the father of current Leyte 1st Congressman Ferdinand "Martin" Rumualdez) and we call it "the Nipa Hut Complex". Unfortunately, the place is being occupied as offices by different national and provincial government agencies like LTO, PENRO and PCGG. Some private entities occupied the frontside of the complex and converted into a commercial-use-for-lease space. The place was once elegant and grand but when PCGG took over the place, believe as a part ill-gotten wealth from the Marcoses, it become disaster. I know this place because I'm living nearby to this place. 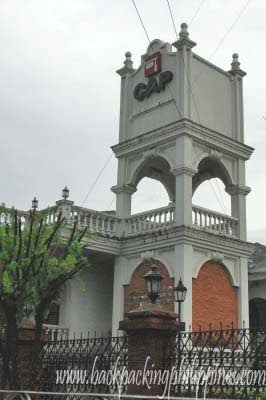 The Redoña Residence is located at T. Caludio Streets walking distance from this place. Here's the glimpse of the Redona Residence (http://en.wikipedia.org/wiki/File:REDONARES.JPG), the official residence of then President Sergio Osmeña, Sr. while with Gen. Douglas Mac Arthur during the World War 2. Cool. Love the place. Yah stayed at go hotels. Thumbs up!